AS Wild Thing sails in to finish as the line honours winner, Marina Hobbs and The Observer photographer Tom Huntley watch excitedly as Black Jack heads for second place boasting a large white spinnaker. 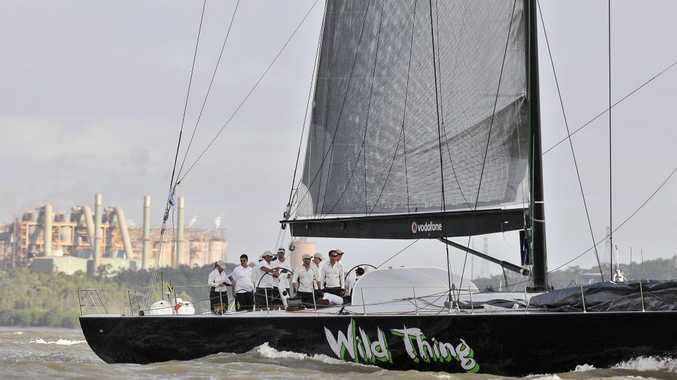 Wild Thing is the first to complete the epic journey in the 65th QantasLink Brisbane to Gladstone Yacht Race. As a long-time Gladstone Port Curtis Sailing Club member Marina said Wild Thing sailed beautifully down the harbour. "She came in at eight to 10 knots," she said. "She had a couple of jives to try and stay out of the tide a bit. "It was a spectacular site as she cruised across the finish line." Marina has watched many races in her time but said it is always exciting to see the first yachts come in. 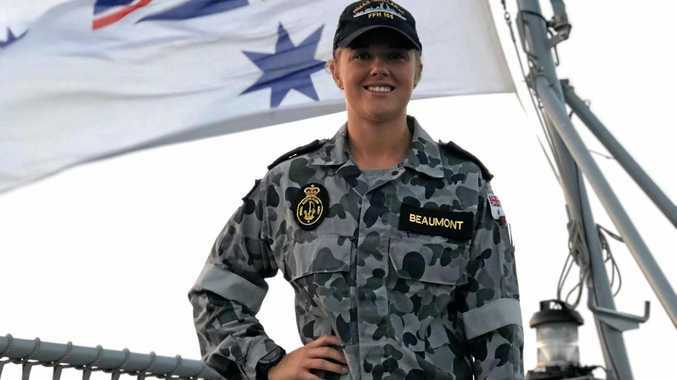 "We're currently watching Black Jack, the second boat finishing," she said when The Observer spoke with her. When asked if the crew members would be tied after the sensational adventure Marina said probably not. "They'll be ready to party," she explained.